Environmental temperatures are important in any installation of concrete coatings and systems. The majority of resinous flooring cures best at “room temperature”. 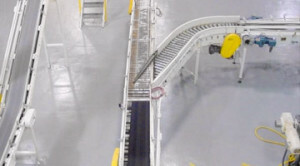 Yet some facilities would be ideally served by cold temperature epoxy flooring installation or application of other resinous systems possessing the ability to adapt to different climates. Whether yours is an operation with consistently cool rooms, or a new construction site where HVAC systems are not yet fully functional, we understand that adjusting the environment to accommodate standard epoxy flooring installation is not always desirable – or even possible. That’s why we offer an array of high performance concrete flooring that can be installed at lower temperature ranges. 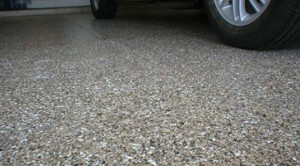 Not all concrete coatings and systems are formulated for colder applications. In fact, most are not recommended for installation in these conditions and can cure improperly or not at all. Florock’s cold temperature flooring installation options, however, provide convenient installation parameters, along with the exceptional performance you need. At Florock, we’ve formulated a variety of resin technologies with strong choices for both cold temperature flooring installation and lasting durability. We don’t offer just one type of cold temperature flooring—we offer a full line, so you can choose the one that works best for your facility and your budget. We also offer cove basing, sloped flooring, and customizable skid resistance, as well as installation in temperatures as low as zero degrees Fahrenheit. Concrete slab showing signs of damage and wear? You may not need costly replacements. Florock’s local network of approved experts can repair and resurface damaged concrete slabs before installing your new floor, helping to reverse the damage of cold temperatures and ensure lasting quality.